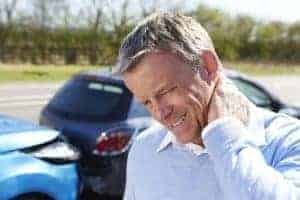 What is Motor Vehicle Accident (MVA) Rehabilitation? Motor Vehicle Accident (MVA) Rehabilitation is the treatment of injuries an individual sustains that is a direct result of the MVA itself. The traumatic nature of an MVA can result in an assortment of physical and mental injuries. The rehabilitation process begins with an in depth evaluation by our multidisciplinary team to identify all the components of the injury. If you have been injured in a motor vehicle-related accident, Call Us at (709)-576-770! We will help you get started with your treatment. What can Action Physiotherapy Do For You? At Action Physiotherapy, we see many clients who have injuries from MVAs. If you have been injured in a MVA and have Section B coverage within your insurance policy, your insurance policy will allow you to visit a physiotherapist. You should consult with one of our physiotherapists as soon as possible to begin the rehabilitation process! Our physiotherapists will evaluate the extent of your injuries and help form an appropriate treatment plan to address all of the issues identified in the assessment. The plan will take into account activities of daily living (ADL’s) and workplace demands (when applicable), so it can be personalized to your individual needs. This may include other therapeutic disciplines offered at our clinic, such as Massage Therapy, Occupational Therapy, Acupuncture, supervised exercise programs and home based therapy. A multidisciplinary approach to rehabilitation can speed up recovery time and put you on the path back to wellness! Action Physiotherapy works closely with your insurance provider to ensure your treatment plan is implemented as smoothly as possible. We take your injuries seriously and appreciate when you put your recovery in our hands! What MVA injuries Do We Treat? Manual Therapy by the physiotherapist to restore proper joint mobility in the spine and other joints that are often affected by a MVA. Registered Massage Therapy to promote muscle healing, relaxation and pain control. Kinesiology sessions to address limitations in strength, flexibility and overall conditioning. They can also address limitations with return to work, return to sport, and return to activities of daily living (ADL’s). Acupuncture/Dry Needling is often used to treat pain and muscle trigger points that are common after the trauma of a MVA. Bracing by a Physiotherapist may be recommended depending on the extent of the injuries. Home based therapy when needed. Rehabilitation following an MVA can be long due to the severity of the injuries, but research shows that with early therapy, the rehabilitation process is much more effective and recovery more complete. Our goal is make your MVA rehabilitation complete, convenient, and comprehensive. We offer minimal wait list time for clients suffering from MVA injuries so contact us today to book your appointment! Get in Touch Via Email Or Call Us At 709-576-7770 .We will help you get started with your treatment. Our expert Admin staff can also help with the paper work and red tape! At Action Physiotherapy your health comes first.